The newest version of the world's leader pool game released. Now you can play with computer and listen to his uncommon and extraordinary comments as you play... Tuned ball physics, new Ivory ball set and 5 extra cues bring even more attraction to the gameplay. Smooth cue shots, realistic ball movements, the play of light on ivory and bronze, full environmental effects, and a way to talk to your opponents - it's the greatest! Live Billiards is a perfect 3d pool game. Version 2 features Straight Pool, 14+1, 3, 8, 9 ball, Snooker, Pyramid, American, Rotation and DeathMatch games. Ball graphics and movements are perfect, you can make any English or masse shot. Play with 9 computer opponents or live friends over network, thus maintaining the realism of championship style pool! Online Pool Club is a bonus. 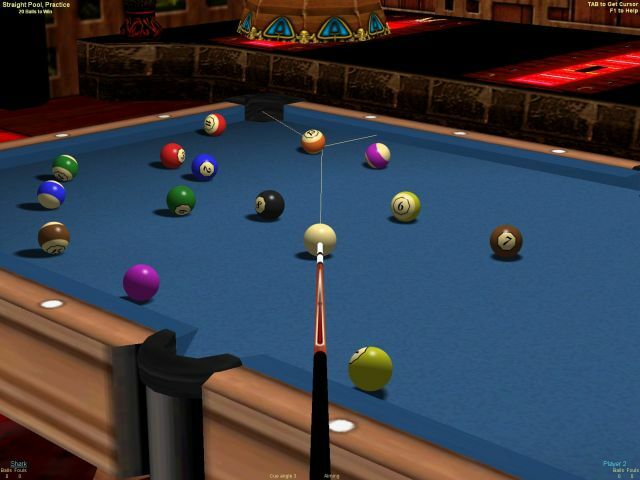 play, online, 3d, pool, game, billiards, free, demo, download The newest version of the world's leader pool game released. Now you can play with computer and listen to his extraordinary comments as you play... Tuned ball physics, new Ivory ball set and 5 extra cues bring even more attraction to the gameplay.